Earlier this summer we took a much-needed vacation. It’s hard to believe it was this summer… seems like so long ago. But it was so good. 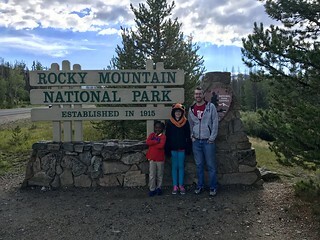 We met my parents in Nebraska and dropped the kids off with them for a week of grandparent bliss in Kansas. 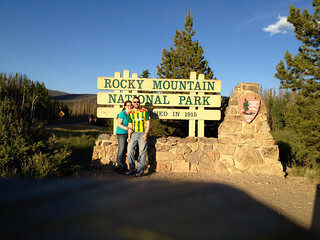 We went on to Colorado. Abby and I spent about four days in Rocky Mountain National Park. 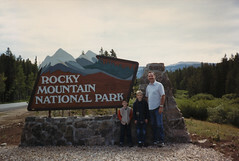 Growing up my family made it to Grand Lake, Colo., and Rocky Mountain National Park every summer. 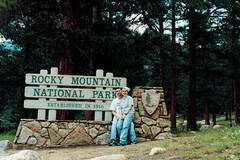 In 2002 Abby and I took a vacation to Colorado and loved it. So it was glorious to go back. We spent our days doing, well, nothing. We read lots of books. I went on a few mountain runs. We grilled out and watched Buffy and checked out the wildlife. There was lots of sitting. Hopefully it won’t be another 12 years before we do it again.